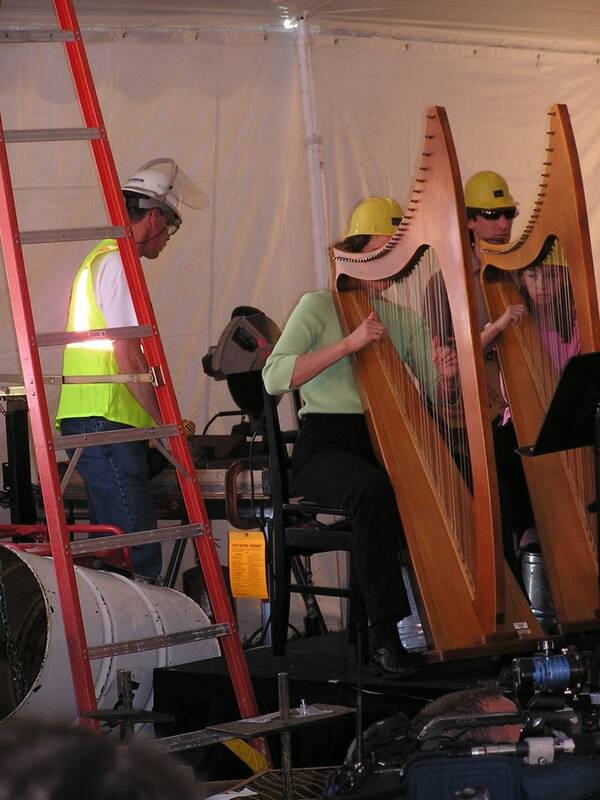 Music and hard hats were the order of the day at the corner of 2nd Street and 5th Avenue in downtown Minneapolis. 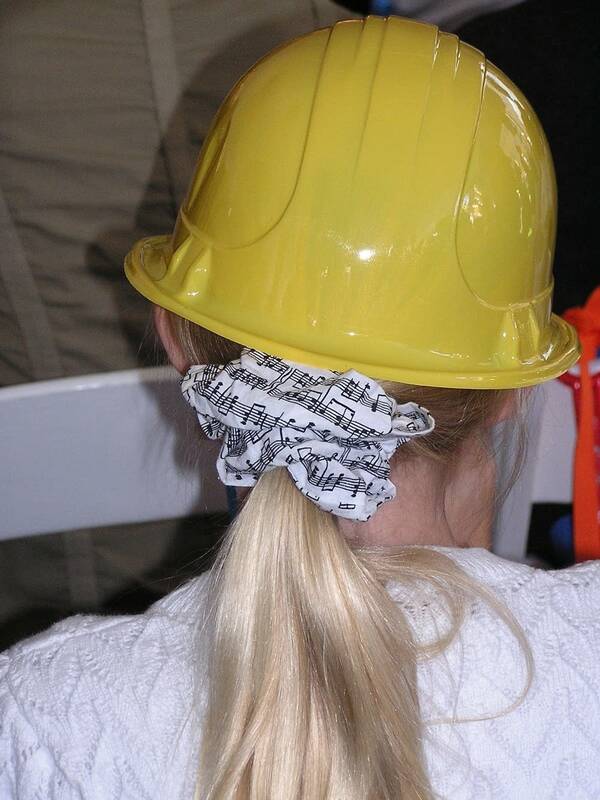 Composer and percussion instructor Bob Adney led MacPhail students and teachers, as well as politicians and construction workers, in the world premiere of his "Construction Concerto," scored for strings, drums and choir, as well as cement mixer, drill, hammers and chains. The concerto is just the latest gesture by MacPhail as it strives to make its music education programs more enticing and accessible to the public at large. 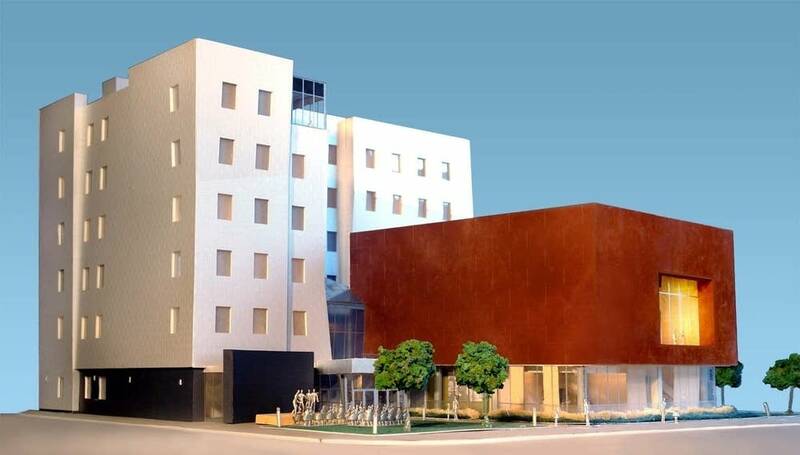 MacPhail Center for Music President David O'Fallon says the new building will provide students and teachers with modern equipment and multiple performance spaces, which they haven't had in the past. It will also expand upon a vision that began almost a century ago. "Macphail started with the passion of William MacPhail, the first concertmaster of the Minneapolis Symphony, to pass on his own passion and skill," says O'Fallon. "He started teaching music individually to students, and it grew and grew and grew." The MacPhail School of Violin grew into a college of music, where students could earn their degrees in classical composition, performance, piano tuning, and repair. 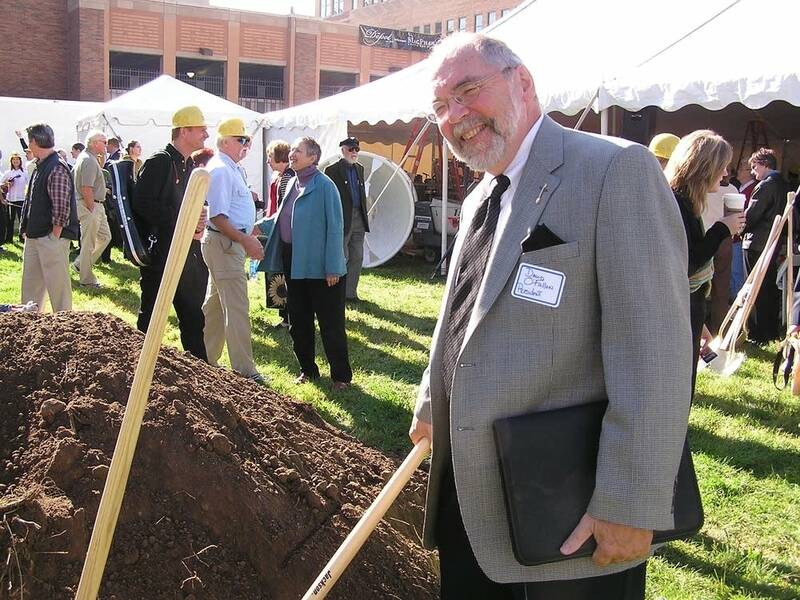 In 1966 the MacPhail family gave the school to the University of Minnesota, where it became a part of the university's extension program. There, O'Fallon says, the focus shifted from conservatory instruction to community education. 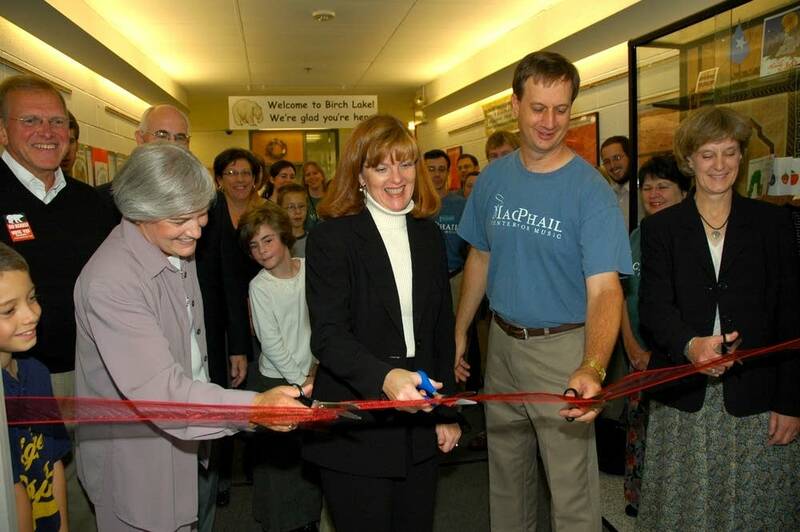 In 1994 the MacPhail Center for Music embraced both when it became a private non-profit once again. "So it has these two strands tied together--a college and conservatory of music strand, tied tightly with a community school strand," O'Fallon says. "Both of them are mixed together here at MacPhail. And now we do it all and we do it all really, really well." 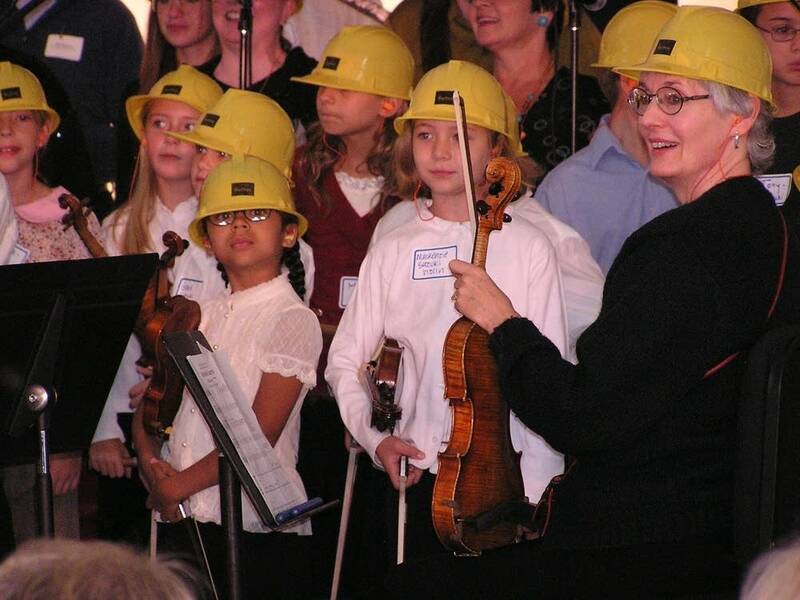 Now, 99 years after its founder started out by teaching lessons in classical violin, MacPhail has grown into one of the largest music schools in the nation. It offers classes for 35 different instruments, by instructors from all over the world, to more than 7,200 students. It partners with schools in Taylor's Falls and Albert Lea, as well as with churches, hospitals and homeless shelters. It no longer offers college degrees, but it does grant certification in a number of different programs. Just this past weekend it opened its second "access site," a smaller MacPhail located in the suburbs, so that people can attend music lessons closer to home. More and more often these students are adults. Colette Ingle is part of the growing adult population of students at MacPhail. 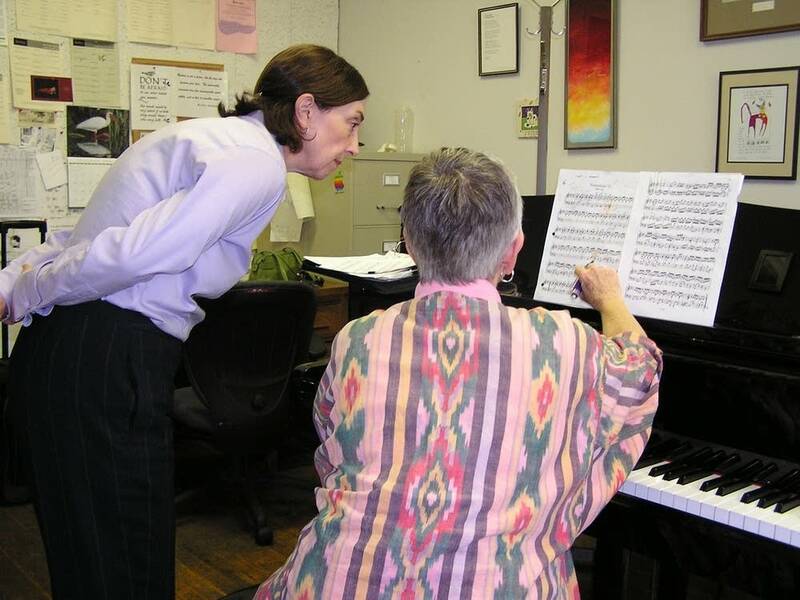 Ingle takes piano lessons with instructor Ginger Reynolds. She says she first started playing as a little girl, but didn't keep up with it. "I played from 8 to 12 or 13 or 14, and then I started again about six years ago. At my insistence my son was taking lessons, and then when he stopped I was really crestfallen. And so I examined this whole motivation a little deeper," Ingle says with a laugh, "and thought it might have been me who should have been playing all along." Ingle says she's glad she took up lessons again. She finds playing the piano nourishing, and it has helped her to feel more comfortable performing in public. MacPhail President David O'Fallon says such results are typical of the benefits he sees when students of all ages take music lessons. He says students involved in music programs improve their test scores and attendance records. Music, O'Fallon says, is a primary need of all human beings, present in all cultures. Increasingly, MacPhail is teaching a more diverse repertoire to a more diverse student body. "People from every single continent and musical tradition are here at MacPhail," says O'Fallon. "We still have Mr. MacPhail's passion for music, but it's much broader now." O'Fallon says whether it's classical, jazz, modern, Celtic or African, MacPhail is committed to sharing music with students for years to come. 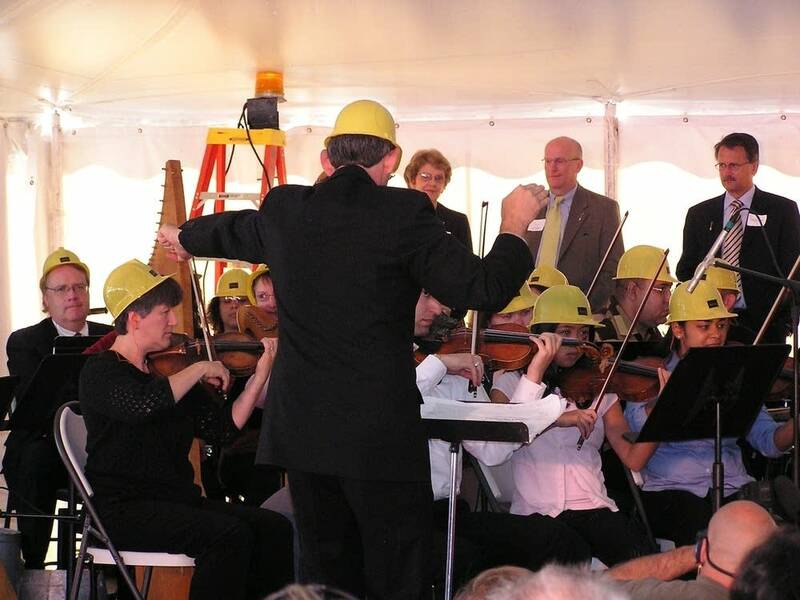 The new MacPhail Center for Music is getting set to open in 2007, marking the institution's 100th anniversary.